CrossFit vs BootCamp Training - What’s the difference? A Resource for Crossfit Athletes. 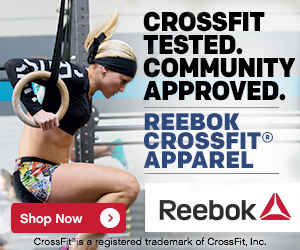 CrossFit vs BootCamp Training – What’s the Difference? Over the years you have probably heard of many others, one of which being synonymous with the military…you guessed it BootCamp Training. We wanted to briefly discuss the differences between CrossFit vs BootCamp. Without getting too in depth into the differences between CrossFit and Bootcamp, simply stated the main difference is weight lifting. CrossFit and Bootcamp both typically utilize functional movements such as; running, rowing, push ups, pull ups, jumping, medicine balls, kettlebells, etc. However CrossFit also includes Olympic lifts into their workouts whereas Bootcamp does not. 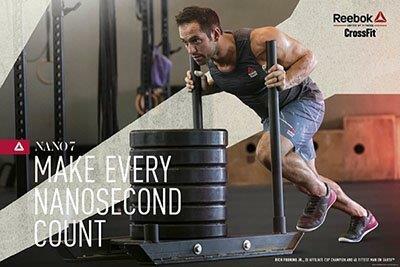 An example is with a CrossFit workout such as the 12 days of Christmas WOD. In this workout you would start with the first movement, then the second movement followed by the first, then the third followed by the second and first, etc. Here is an example of a Bootcamp style workout. Only resting from one exercise to the another complete 1A, 2A, 3A three times before proceeding to the second circuit. Stand with your feet outside hip width with your toes pointed out slightly and your shoulders retracted. Hinging back at the hips, let your arms swing back between your legs creating a pendulum. As your forearms touch your inner thighs “pop” your hips forward to drive the kettle bell forward and above the crown of your head. Stand tall with your feet hip width with your sandbag in rack position resting across the front of your shoulders and across your chest, keeping your elbows up in front of you as high as possible. Push your hips back and lower your tailbone toward the floor with your weight on your heels. As you reach parallel position hold the position for 2 seconds. Then pushing your heels into the ground drive your hips upward back to starting position. From standing position squat down placing your hands on the ground. Hop both feet back into plank position keeping your core engaged and your back flat. Lower your chest to the ground until you’re completely on your stomach. Release your hands from the ground and, while keeping your head in neutral spine position, clap both hands above the crown of your head. Return your hands outside of your shoulders, engage your core, and lift your body back to pushup position. Hop both feet forward at shoulder width while pushing your upper body back. Return back to standing position and repeat. While holding a medicine ball overhead, began to rotate your torso to your right. Keeping you toes facing forward bring the ball downward as fast as possible bending into a 3/4 squat. As the ball reaches waist height release it aggressively slamming it into the ground. Quickly catch the medicine ball as it bounces off of the ground, and in the same movement pattern return the ball back to overhead position. Continue traveling to the other side and repeat. Utilizing a set of stairs sprint upward keeping your toes up, driving your knees upward as high as possible. Keep your chest over your thighs and your arms driving forward and back at 90 degrees as your foot strikes every other stair. Finish to the top and walk down under control. If using a treadmill, set it to 10–12 degrees and sprint at a speed where you can sustain proper running mechanics and the belt is not dictating your running cycle. Stand tall with your feet hip width with your sandbag in rack position resting across the front of your shoulders and across your chest, keeping your elbows up in front of you slightly lower than shoulder height. Slightly bend your knees and immediately drive up through your hips quickly pressing the sandbag overhead. As you lock out and gain stability rerack the sandbag absorbing it by softening your knees. Start in lunge position with your right foot forward, your left foot back, and your knees at 90 degrees. With arms behind you drive both feet into the ground throwing both arms forward and jump as high as possible. As you reach your highest point scissor your foot so your right foot is now behind you and your left foot in front. Land in a lunge position returning your arms behind you. Start in pushup position making sure your core is engaged and your back is flat. Shifting to your right, place your right hand and foot 4 inches outside of your right shoulder, then bringing your left hand and foot back to shoulder width. Repeat for one more cycle and then perform a pushup. Travel back to the left for two cycles and perform another pushup. As you can see both workouts utilize functional movements and are programmed to be intense, however the addition of weightlifting adds another dimension. In our opinion this other dimension or addition of weightlifting makes CrossFit the more well rounded workout for complete fitness, although you will still be in great shape if you regularly participate in either. PreviousPrevious post:The Best CrossFit in Philadelphia – OpenBox Athletics Topping the List!NextNext post:2018 CrossFit Regional Update – Welcome Back Latin America! Who Are The Best CrossFit Gyms in Austin, TX? Here you go! The Best Callus Products of CrossFit – Removal, Care, & Maintenance!